We sincerely apologise to our dear customers for any inconvenience this may cause. Online shopping will continue and all orders to be posted on our return beginning MONDAY 20th October. We look forward to returning with some wonderful unique hand sourced pieces for our customers and thank you sincerely for your understanding. This range of bags are authentically hand woven using hand spun wool on hand spun cotton and are extremely durable. 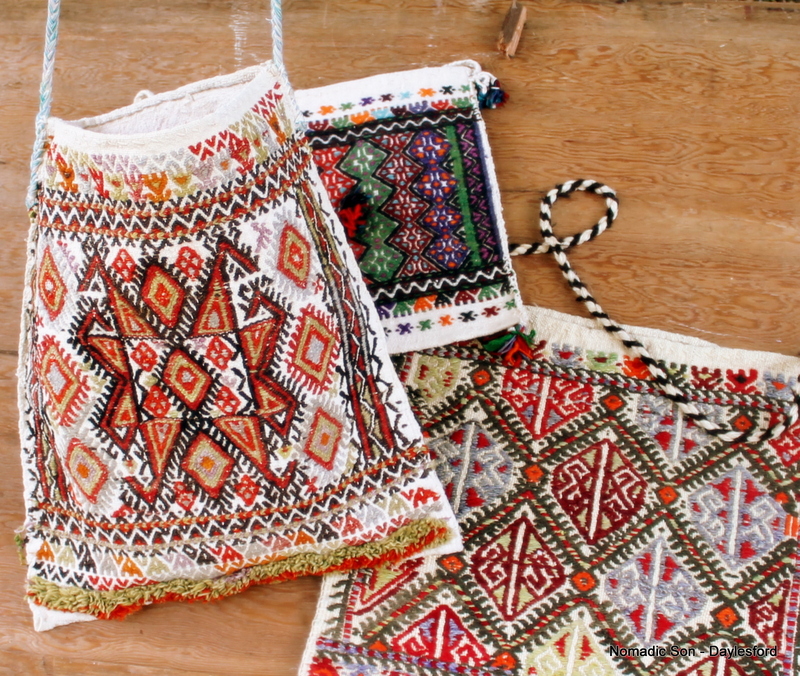 Traditionally made for and used by Turkish shepherds and farmers as a simple no fuss tote but made with love and thoughtfulness that shines through in the fantastic designs. These pieces vary in age and condition but all feature a simple one large compartment and hand braided shoulder straps. Each piece was professionally cleaned before making it into our store. Some may have marks or inconsistencies but all are a stunning example of how Anatolian women can make even the most basic functional item a truly unique and eye catching piece.